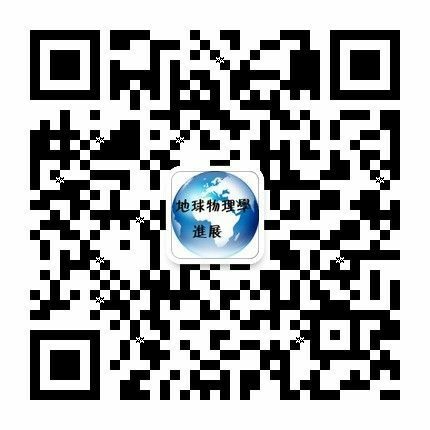 摘要 本文以非结构化网格剖分为基础，推导了电导率呈任意各向异性条件下的海洋可控源电磁法二次场磁矢量位、标量位所满足的有限元方程.将不完全LU分解预条件因子（ILU）与Induced dimension reduction （IDR（s））迭代算法相结合对有限元方程进行求解.之后，采用加权移动最小二乘法对二次场矢量位、标量位进行求导得到相应的电磁场各分量.最后，开展了两个地电模型的电磁场计算与分析.结果表明：本文所提出的电导率呈任意各向异性条件下的海洋可控源电磁法三维正演算法正确；不完全LU分解预处理的IDR（s）算法计算效率明显优于常用的ILU-QMR、ILU-BICGSTAB算法；算法具有良好的通用性，可用于陆地电磁、航空电磁、井中电磁等地球物理勘探方法在电导率任意各向异性方面的研究. Abstract：A secondary potential formulation of the three-dimensional marine controlled source electromagnetic method modeling in arbitrarily anisotropic medium is derived based on unstructured grids and coulomb gauge. Next, solving the finite element equations with IDR(s) iterative algorithm combined with the incomplete LU decomposition technology. Once the secondary vector and scalar potential is solved, we can use the moving least square method to calculate their spatial derivative and compute the secondary electric and magnetic field. In order to test the finite element method for numerical modeling of 3D controlled sources electromagnetic data in an arbitrarily anisotropic conductive medium of this paper, we have applied the developed algorithm to compute the typical CSEM response of two 3D models. The modeling results show that the proposed algorithm is feasible and effective; the IDR(s) is competitive with or superior to ILU-QMR and ILU-BICGSTAB methods; the proposed algorithm is general and can be applied to EM modeling in borehole and environment geophysics in arbitrarily anisotropic medium. Ansari S, Farquharson C G. 2014. 3D finite-element forward modeling of electromagnetic data using vector and scalar potentials and unstructured grids. Geophysics, 79(4): E149-E165. Cai H Z, Xiong B, Han M R, et al. 2014. 3D controlled-source electromagnetic modeling in anisotropic medium using edge-based finite element method. Computers & Geosciences, 73: 164-176, doi: 10.1016/j.cageo.2014.09.008. Cai H Z, Xiong B, Zhdanov M. 2015. Three-dimensional marine controlled-source electromagnetic modelling in anisotropic medium using finite element method. Chinese J. Geophys. (in Chinese), 58(8): 2839-2850, doi: 10.6038/cjg20150818. Chen G B,Wang H N,Yao J J, et al. 2009. Three-dimensional numerical modeling of marine controlled-source electromagnetic responses in a layered anisotropic seabed using integral equation method. Acta Physica Sinica, 58(6):3848-3857. Constable S, Srnka L J. 2007. An introduction to marine controlled-source electromagnetic methods for hydrocarbon exploration. Geophysics, 72(2): WA3-WA12, doi: 10.1190/1.2432483. Constable S. 2010. Ten years of marine CSEM for hydrocarbon exploration. Geophysics, 75(5): 67-81, doi: 10.1190/1.3483451. Gellert W,Kuestner H, Hellwich M,et al. 1986. Mathematik. Leipzig. VEB Bibliographisches Institut. Jahandari H, Farquharson C G. 2015. Finite-volume modelling of geophysical electromagnetic data on unstructured staggered grids.//85th Ann. Internat Mtg., Soc. Expi. Geophys. Expanded Abstracts. Jin J M. 2002. The Finite Element Method in Electromagnetic. New York: Wiley-IEEE Press. Key K, Ovall J. 2011. A parallel goal-oriented adaptive finite element method for 2.5-D electromagnetic modelling. Geophysical Journal International, 186(1): 137-154. Li Y G, Key K. 2007. 2D marine controlled-source electromagnetic modeling: Part 1—an adaptive finite-element algorithm. Geophysics, 72(2): WA51-WA62. Løseth L O, Ursim B. 2007. Electromagnetic fields in planarly layered anisotropic media. Geophysics, 170(1): 44-80, doi: 10.1111/j.1365-246X.2007.03390.x. Puzyrev V, Koldan J, De La Puente J, et al. 2013. A parallel finite-element method for three-dimensional controlled-source electromagnetic forward modelling. Geophysical Journal International, 193(2): 678-693, doi: 10.1093/gii/ggt027. Schwarzbach C, Börner R U, Spitzer K. 2011. Three-dimensional adaptive higher order finite element simulation for geo-electromagnetics—a marine CSEM example. Geophysical Journal International, 187(1): 63-74, doi: 10.1111/j.1365-246X.2011.05127.x. Sonneveld P, Van Gijzen M B. 2008. IDR(s): a family of simple and fast algorithms for solving large nonsymmetric systems of linear equations. SIAM Journal on Scientific Computing, 31(2): 1035-1062, doi: 10.1137/070685804. Tabbara M, Blacker T, Belytschko T. 1994. Finite element derivative recovery by moving least square interpolants. Computer Methods in Applied Mechanics and Engineering, 117(1-2): 211-223. Tang J T, Ren Z Y, Hua X R. 2007. Theoretical analysis of geo-electromagnetic modeling on Coulomb gauged potentials by adaptive finite element method. Chinese J. Geophys. (in Chinese), 50(5): 1584-1594. Weitemeyer K, Gao G Z, Constable S, et al. 2010. The practical application of 2D inversion to marine controlled-source electromagnetic data. Geophysics, 75(6): F199-F211, Doi: 10.1190/1.3506004. Yang B, Xu Y X, He Z X, et al. 2014. 3D frequency-domain modeling of marine controlled source electromagnetic responses with topography using finite volume method. Chinese J.Geophys. 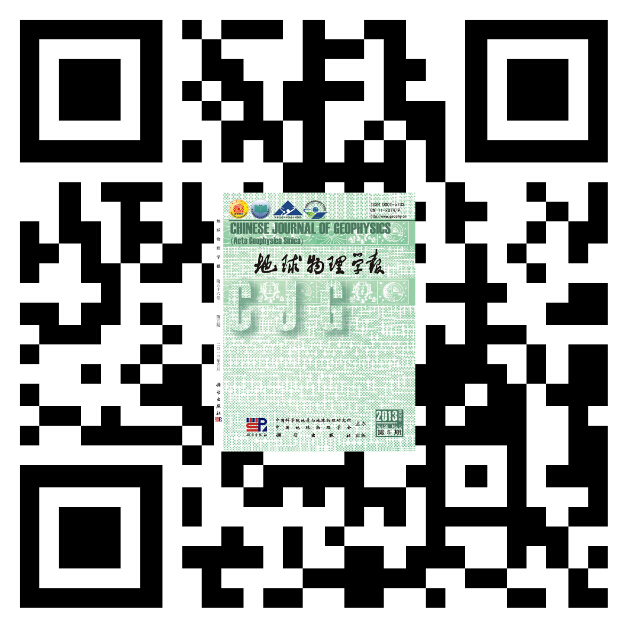 (in Chinese), 55(4): 1390-1399, doi: 10.6038/j.issn.0001-5733.2012.04.035. Yang J, Liu Y, Wu X P. 2015. 3D simulation of marine CSEM using vector finite element method on unstructured grids. Chinese J. Geophys. (in Chinese), 58(8): 2827-2838, doi: 10.6038/cjg20150817. Yin C C, Ben F, Liu Y H, et al. 2014. MCSEM 3D modeling for arbitrarily anisotropic media. 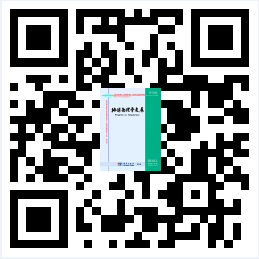 Chinese Journal of Geophysics (in Chinese), 57(12): 4110-4122, doi: 10.6038/cjg20141222. 蔡红柱, 熊彬, Zhdanov M. 2015. 电导率各向异性的海洋电磁三维有限单元法正演. 地球物理学报, 58(8): 2839-2850, doi: 10.6038/cjg20150818. 汤井田, 任政勇, 化希瑞. 2007. Coulomb规范下地电磁场的自适应有限元模拟的理论分析. 地球物理学报, 2007, 50(5): 1584-1594. 杨波, 徐义贤, 何展翔等. 2014. 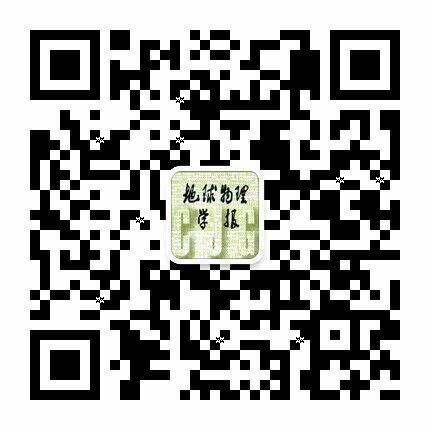 考虑海底地形的三维频率域可控源电磁响应有限体积法模拟, 地球物理学报, 55(4): 1390-1399, doi: 10.6038/j.issn.0001-5733.2012.04035. 杨军, 刘颖, 吴小平. 2015. 海洋可控源电磁三维非结构矢量有限元数值模拟. 地球物理学报, 58(8) 2827-2838, doi: 10.6038/cjg20150817. 殷长春, 贲放, 刘云鹤等. 2014. 三维任意各向异性介质中海洋可控源电磁法正演研究. 地球物理学报, 57(12): 4110-4122, doi: 10.6038/cjg20141222. 王建, 肖卓伟, 赵大鹏, 姚振兴. 东北日本地震波速度、VP/VS和各向异性结构:对俯冲带水迁移过程的探讨[J]. 地球物理学报, 2018, 61(3): 832-844. 王宇竹, 潘保芝. 渗透率各向异性测量和评价方法综述[J]. 地球物理学进展, 2017, 32(6): 2552-2559. CHEN Han-Bo, LI Tong-Lin, XIONG Bin, CHEN Shuai, LIU Yong-Liang. Finite-Element Modeling of 3D Mcsem in Arbitrarily Anisotropic Medium Using Potentials on Unstructured Grids[J]. 地球物理学报, 2017, 60(6): 698-709.